Streetfilms | NYC Transit Time Warp! 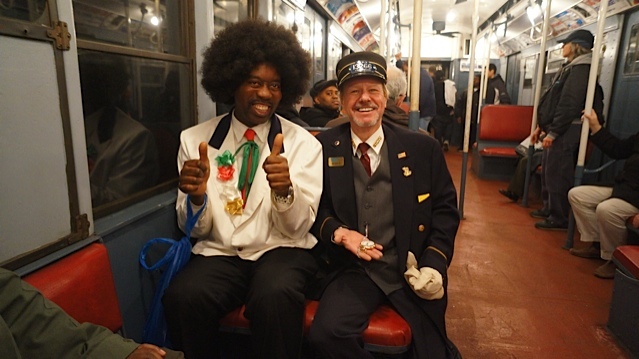 Get out and ride vintage subways on Sundays in December! 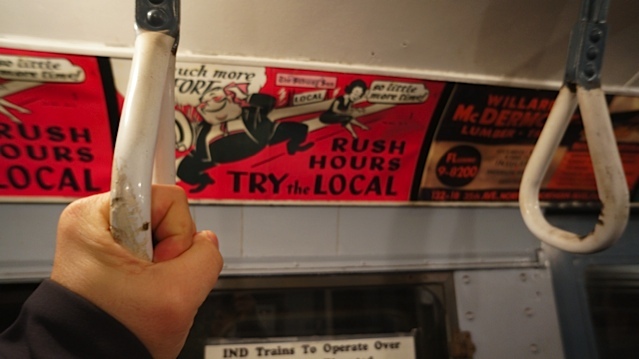 NYC Transit Time Warp! 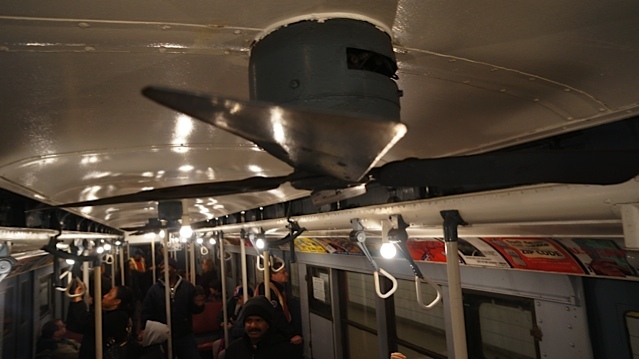 Get out and ride vintage subways on Sundays in December! 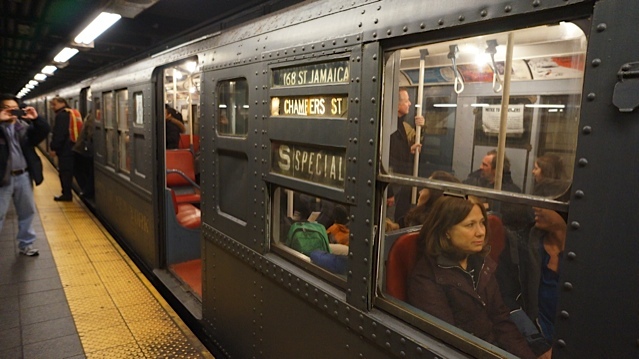 In New York City, every Sunday in December you can ride vintage trains between 2nd Avenue and Queens Plaza in Queens. 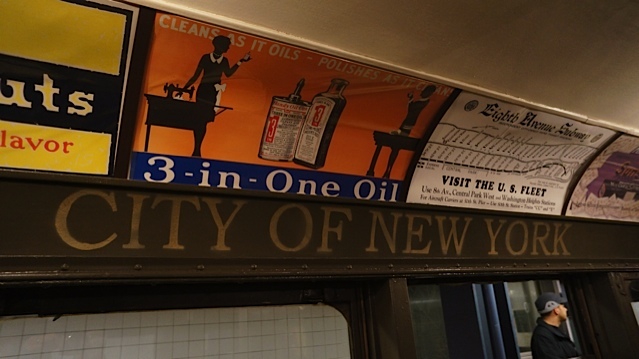 It's a rare treat and wonderful MTA tribute to a bygone era. 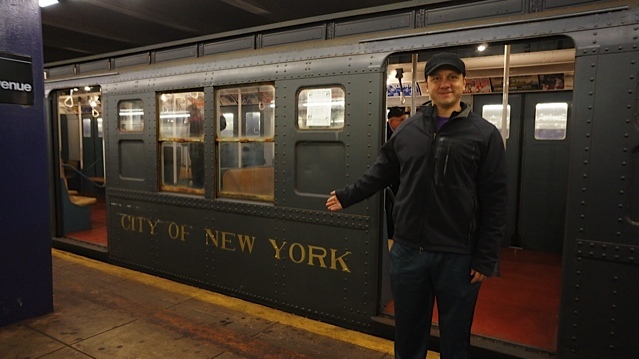 It's a unique experience to be amongst train nuts & transit aficionados riding the rails aboard 1930s subway cars, which is way back about the time King Kong was wreaking havoc atop the Empire State Building! You'll experience padded seats, ceiling fans, and dozens of now-hilarious advertorials from the time period. We found the funnest moments were seeing the reaction of everyday straphangers and tourists as the old trains pulled into each stations. You could see the look on their faces, "Did I just enter a time warp?" Here are a few photos of the first Sunday, you should definitely put it on your calendar if you live in NYC. I also wanted to add in this panorama I attempted while we were stopped at 2nd Avenue and across the way was one of NYC's newest cars. Quite a contrast. I like them both. Posted in Streetfilms News, Transit. Had lots of fun today, but I will forever miss the Redbirds of my youth. I felt like a child and an adult all at the same time! I really need to visit NYC! I still remember the unforgettable trips on the els in Manhattan and Queens during my summer visits in the Big Apple back in the 60's. The IND was fun to ride, especially when I was on one of the expresses running through a "local" station. I really got a kick to see a local train running alongside mine, then inching back before stopping at the platform. I even enjoyed seeking a local running alongside and stopping at the next station and opening doors at the same time as the one I was riding. Such teamwork! I did have the opportunity to ride the BMT trains, the ones with the wide single side doors. 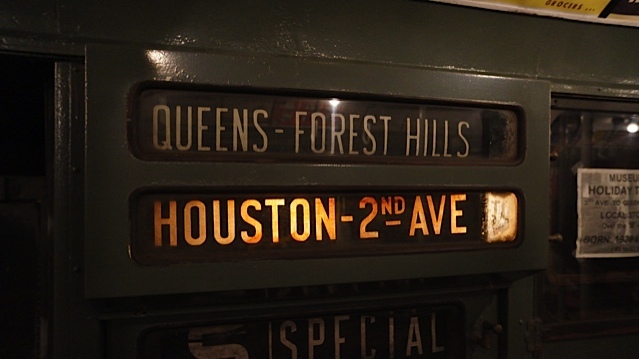 The BMT trains and the el trains had a distinctive "hum" to them as well. I do miss those days of fun travel! The stations were a lot safer back then too!